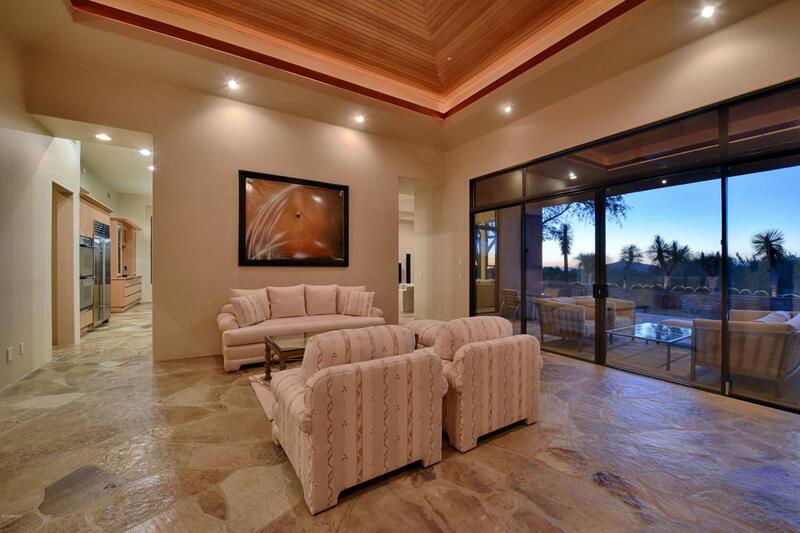 Breathtaking sunsets & views highlight this SW Contemporary home in Monument at Troon North. 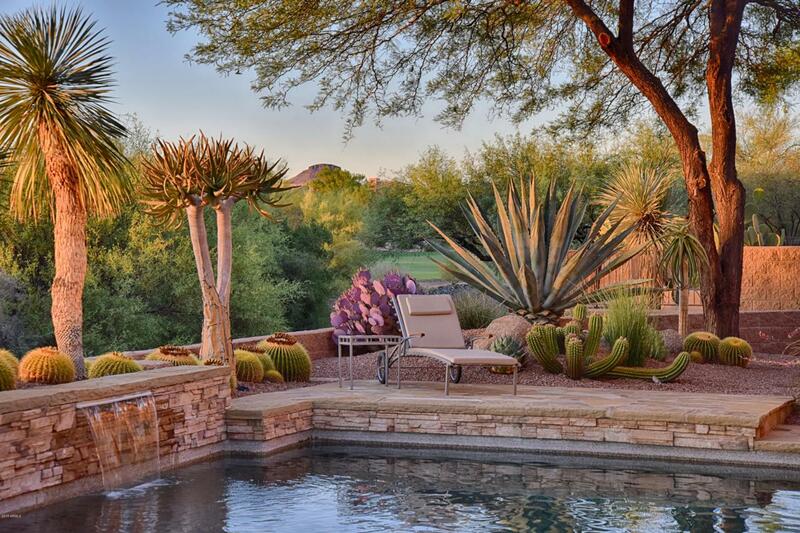 Located on the 6th hole of the Monument course, the backyard's wide open feel allows for the ultimate in entertaining featuring a heated pool & spa, stacked stone water feature, unique desert landscaping, large covered patio, built in BBQ, and beautiful native flagstone decking. 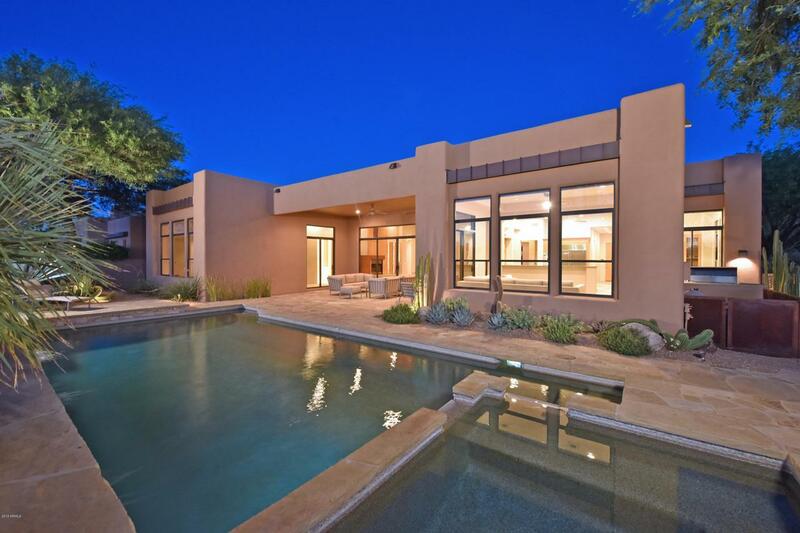 The 4 bed, 3 bath home w/office & bonus room have the same flagstone extending inside for a seamless feel, complete w/coffered & wood paneled ceilings, impressive gas contemporary fireplace & clean straight architectural lines throughout. 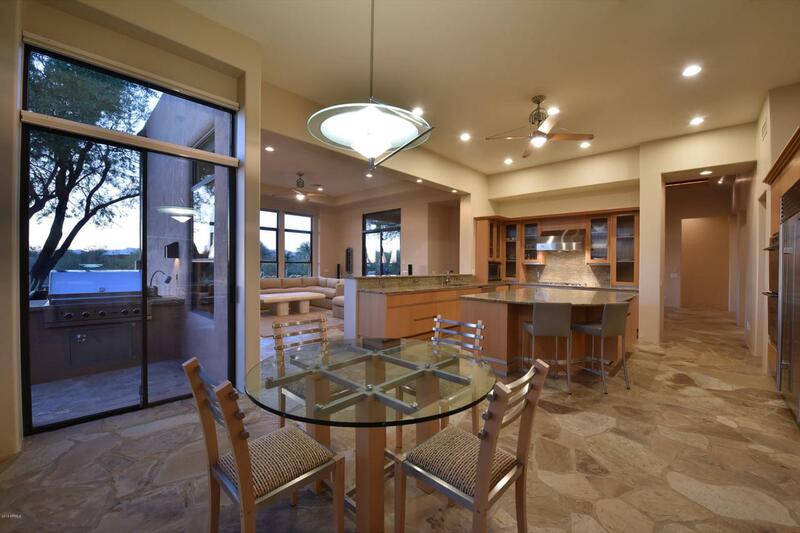 The kitchen has slab granite counters, custom cabinetry w/glass inserts, oversized subzero fridge, Dacor double ovens, gas range, walk-in pantry, & large center island with bar seating.